Finding a gaming joystick could be a nightmare in the current market and to compare them with those high priced Sony playstations is a real pain. What if there is a quick and cheap gaming solution which works flawlessly on your Android smartphone? Love playing smartphone games? Working similarly to those high-end Sony playstation, ipega gaming controller works smoothly with any Android smartphone. It supports 5 to 10-inch devices on its stand and has quite precision buttons. Although it may not give a 100% experience of those costlier controllers, its a decent controller at given price tag. Ipega is specially designed for tablet pc, smartphones, ipad with Bluetooth 3.0 wireless support. Start playing anywhere, anytime. You won't require any setup or a software installation to use this controller and easily works within 8 meters of wireless range. Any Android smartphone with 2.3 and above operating system can be used with an iPega controller. 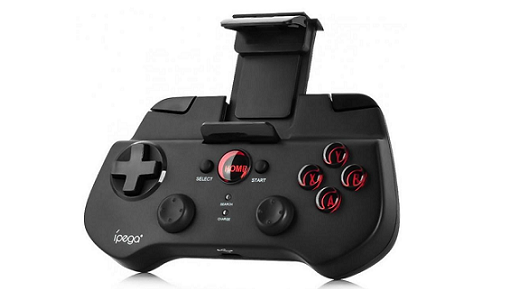 iPega gaming controllers are famous for their price ranges. They are some of the best cheapest accessories available online. Not only this, you can choose from various models of wireless controllers currently available which comes with somewhat similar but cool added features. Its a nice controller for Gear Vr too.